by Susanne O'Leary in Writing Tags: bookouture, fiction, literature, marketing, publishing, reading books, romantic comedy, self-publishing, Women, writing. Bookouture has been in my radar for a while. The name is so me, I thought. It sounded so chic, somehow, as if the editors were all wearing designer clothes, carried the manuscripts in Prada handbags and walked around in Jimmy Choo shoes. The office would have Chanel no 5 wafting through the air conditioning and they’d only ever drink vintage champagne and eat caviar and croissants for breakfast. Heaven. Joking aside, when I looked at their website and saw the great books they publish and the lovely covers they design, I thought they might be the right fit for me. I also read some of their books in my genre and loved them. So… why not jump in and have a go? Feeling I had nothing to lose, I submitted The Road Trip, my just completed book, in early December. They made me an offer in early January and the rest, as they say, is history. I signed a two-book contract last week. It feels like a whole new chapter is opening in my writing life and I’m both excited and nervous. I hope I can live up to the expectations, but with the help of my terrific new editor Christina Demosthenous , I’m sure I will. Some of my author colleagues might wonder though… Why sign with a publisher when I have been happily (and quite successfully) self-publishing for over eight years? This might look like I am now contradicting all the glowing things I’ve said about self-publishing, all the cheering and being proud to be an Indie and how I’d never give my work away to one of ‘them’ ever again, like a mantra. Was it a case of ‘the lady doth protest too much?’ Or sour grapes about not being traditionally published? Not at all. I meant what I said and I still do. But I feel Bookouture is a new kind of publisher—the kind that really ‘get’ e-publishing and the ever changing market. I also think that this new kind of publishing has happened because of what we as Indies have done. We made the market what it is today, and I’m very proud of what we have all achieved. I will probably mix self-publishing with trad publishing along the way, like a lot of so-called hybrid authors. Exciting times ahead, indeed. The Road Trip, My first Bookouture book will be published in June. You can read all about it on the Bookouture blog. 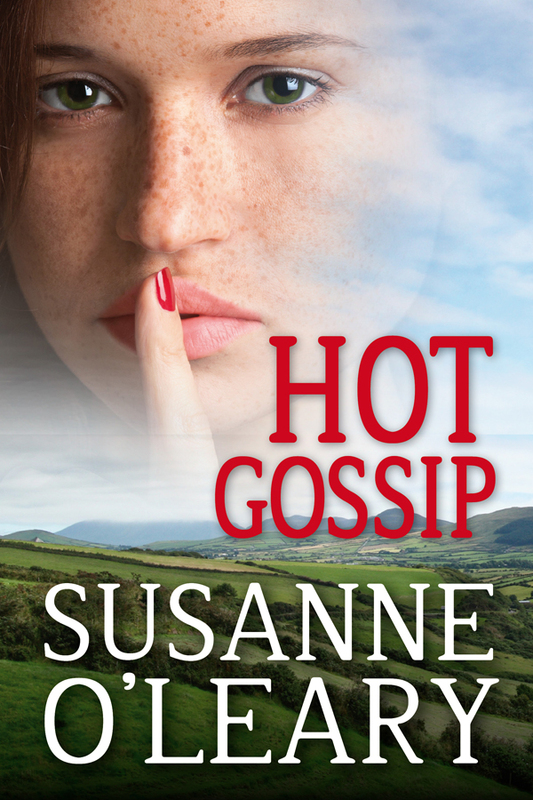 My new novel, Hot Gossip, will be published at the beginning of December. While not exactly a sequel to my previous publication, Hot Property, it’s set in the same location and some of the characters have been given bit parts in the new story. That’s all I’m going to reveal. You will find the first chapter below. I hope it will give you a taste for more. Janine sat, in the Lotus position, on the deck behind the old house. It was a bright day with a promise of spring but the shadows were already creeping up the lawn toward the house. At dusk the clear skies would herald a sharp frost by morning. Janine wondered if the camellias, sprung into bloom in the past few days, would survive. She still couldn’t get used to this early spring so far north. But the Gulf Stream clipping this coast made it possible for exotic plants to survive. Her eyes closed, Janine repeated her mantra, trying to empty her mind. This usually brought her great peace and serenity. But not today. She sensed the presence of something or someone that didn’t belong in the quiet garden. She opened her eyes. There was a movement behind the trees at the end of the lawn, a shadow coming closer. Then she saw her. A girl, long-legged like a fawn, picking her way over the boulders in the river at the bottom of the garden. She sang softly to herself, oblivious of the world around her. The girl came steadily closer. She still hadn’t seen Janine and seemed absorbed in her own thoughts and whatever she could see down there on the riverbed. Fish perhaps, flicking in and out among the rocks on their way upriver to spawn. The silence was suddenly broken by the squawking of a pheasant in the shrubs nearby. The sound, like a broken toy trumpet, startled both the girl and the woman. They looked up and listened. Their eyes met. The girl froze, her hand holding onto an overhanging branch for support. Wide-eyed, she gazed at Janine as if gauging her mood. Friend or foe, she seemed to ask. “That’s a weird name. Are you foreign? Is that why you talk funny? Why are you dressed in black? Did someone die? Are you a widow?” She drew breath. Janine hesitated. She had a strange feeling she could tell this girl anything and it would stay between the two of them. She was older than she had appeared at first, about eleven or twelve, on the cusp of womanhood. A magic age when you’re aware of everything but not of the dangers and evils of adult life. “I’m in hiding,” she said without thinking. Nelia shrugged. “Yeah, right. Whatever. Got to go. Bye.” She turned on her heel, padded across the grass and jumped over the bank into the river. She picked her way up to the bend in three graceful strides and disappeared into the shadows like the fairy Janine had first thought her to be. Janine couldn’t get the image of the young girl out of her mind. There was such a hauntingly sad look in those huge grey eyes. She’s very like someone, she thought as she went about the old house, tidying up, making tea and finally switching on her computer. But who? Then it struck her; that girl is very like me, the way I was at that age. That forlorn look, the suspicion, the prickly way about her, just like Janine after the event that shattered her safe, comfortable existence. Then she had been moved around like a difficult dog nobody wanted, from one relative to another until she was sixteen and had run away to Paris and got a job in a department store by lying about her age. Janine stood at the window and looked far out to sea, wondering, pondering like so many times before, how her life would have turned out if she hadn’t been spotted by a scout from a New York modelling agency in that Paris department store and left for Manhattan. If she hadn’t sashayed down the catwalk with Steve in the audience at a time when he was searching for a trophy wife. If she hadn’t been seduced by his wealth and power and married him after only six months. She would probably be the wife of some French public servant, with two point three children. She’d spend her days trundling kids to day care and work in some dreary office. Bored, but at least she’d be free, not tied to a cruel, vindictive man who thought he owned her. Who organized the execution of at least two men he suspected were her lovers. Who ordered his spies to follow her everywhere. But this once, she had fooled him. They’ll never find me here, she thought, in this remote part of Ireland. The trail went cold in London. Nobody here knows who I am. There was a loud knock on the door. As usual, the sound made her jump. When will I stop being afraid, she thought. When will I stop thinking a knock on my door means they’ve found me? 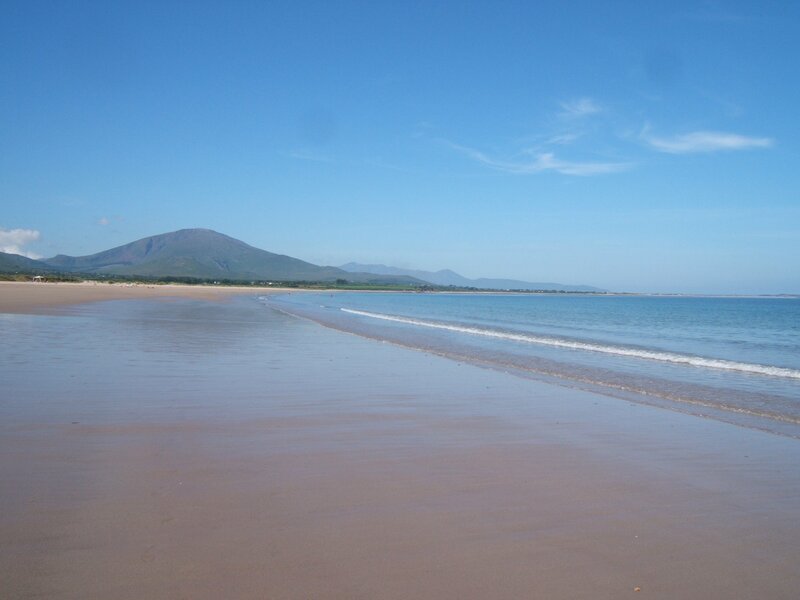 And, of course, the setting was inspired by the stunning Kerry landscape.